Slack, the increasingly popular communication platform, has made its second acquisition, snapping up collaborative screen sharing service Screenhero for an undisclosed amount in a cash and stock deal. Screenhero’s entire six-person team is joining Slack, which will integrate its features including screen sharing and voice. The collaboration will also see Slack rolling out new video communication features. Screenhero is a graduate of Y Combinator. It launched in 2013 and raised a $2.6 million seed round last year from True Ventures, Andreessen Horowitz and Elad Gil, among others. The screen sharing service will be phased out as a standalone product but current users will continue to have access during the transition to Slack. New user signups are also closed but Slack customers can try the service out using their existing accounts. Screenhero’s current app is cross-platform, allowing HD screen sharing on Mac and Windows with supports for multiple cursors and voice chat. Sherwani will now serve as Slack’s Director of Realtime Communication Products, which suggests we’ll see an even larger range of new features being rolled out by the company soon. Butterfield wasn’t willing to say how long it will take to fold Screenhero’s features into Slack, but said it will take at least a month for integrations to start appearing. Precisely what features will be available to users on Slack’s free plan hasn’t been decided yet though Butterfield says one-to-one voice and video chats are likely to be included at that level. 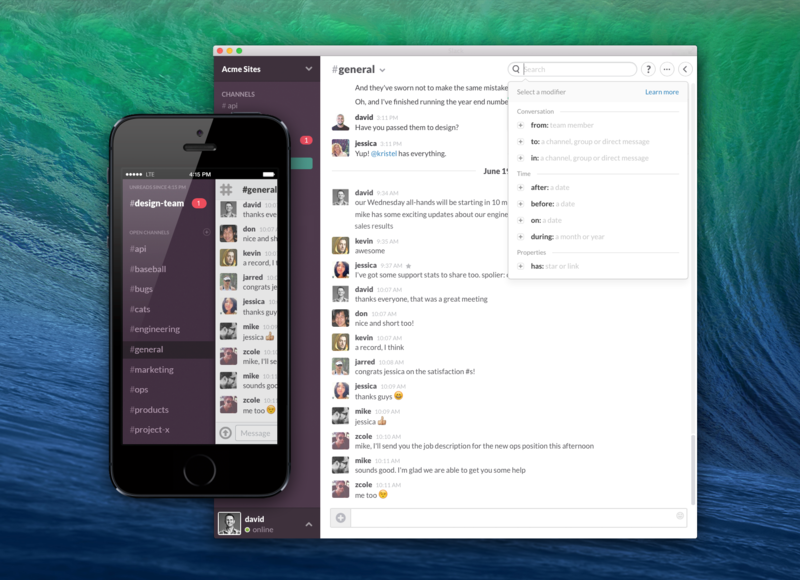 Slack’s first acquisition was Spaces, a tool that allowed people to collaborate on documents remotely, in September last year. Its features are also being integrated into Slack’s main app.